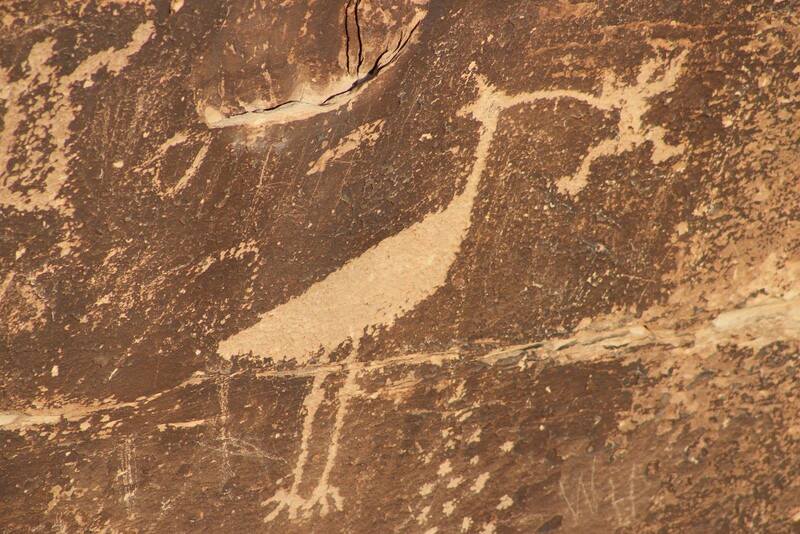 Indian petroglyph, circa 1000 AD - a giant bird holding a man in its beak. Puerco Village, Petrified National Forrest National Park, Arizona. 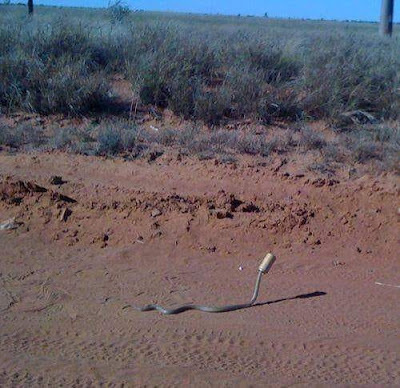 It's officially hot in Arizona when a snake steals your beer.